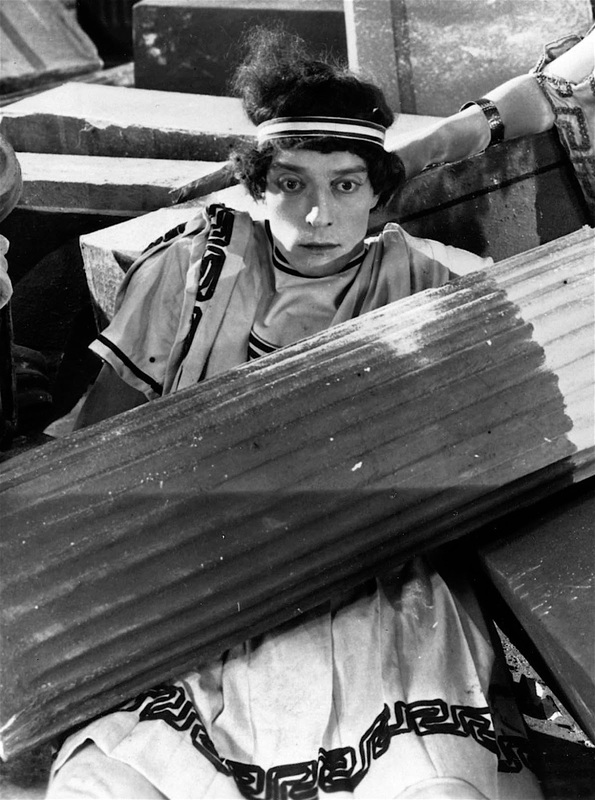 Everyone reading this knows Buster Keaton, and most of you probably know a little bit about Three Ages, his first feature, too. 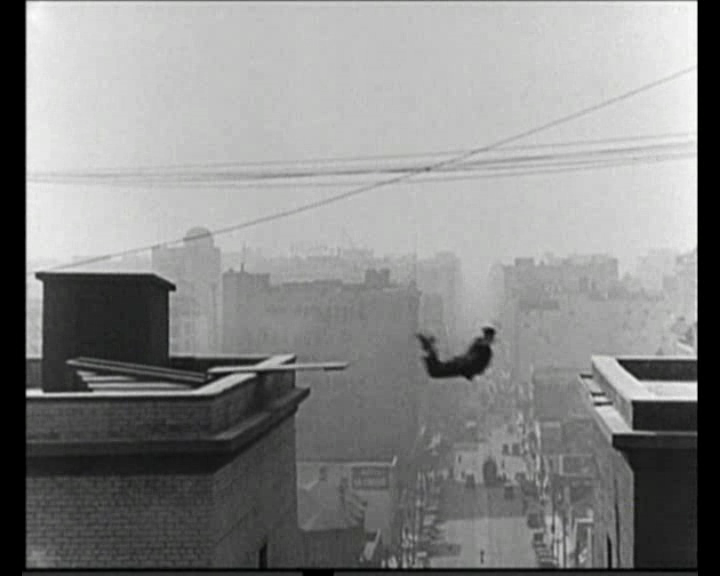 Untested in hour-long comedies, Keaton agreed to film something that was splittable into three short films: each one able to stand on its own, if need be. As it turned out, Three Ages worked out just fine as a feature. Today, we remember it as the start of the second, and most artistically successful, phase of his career. If you like Keaton’s shorts, you’ll like Three Ages. And who doesn’t like his shorts? Almost all of them are fast-paced, sharp comedies, with good gags that obey the laws of physics. They were ambitious too—in scale, as in Cops, and in technical reach, like The Playhouse. The trio of films that make up Three Ages fall about in the middle of that pack. One, though, offered a glimpse into Keaton’s future work, and for that reason, it the most special of the three. Keaton’s film explores love. 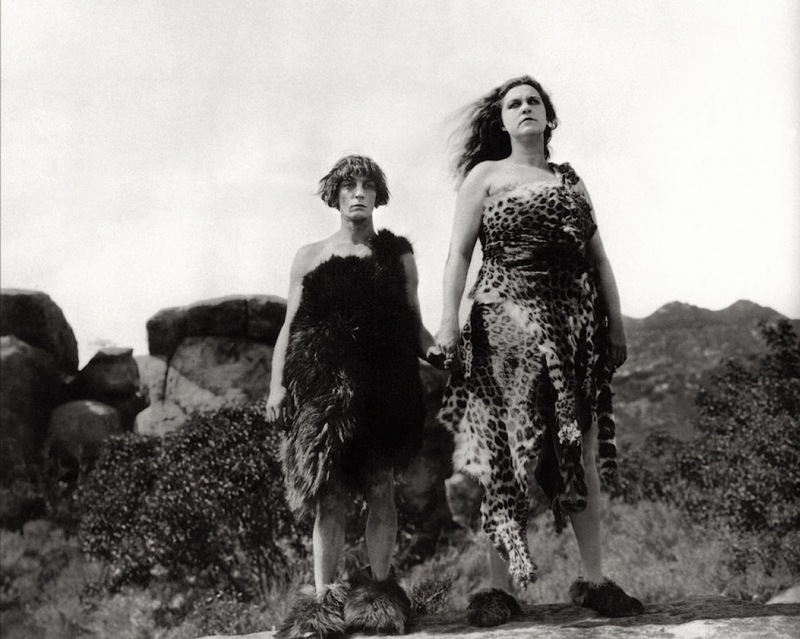 Love is timeless, of course, and so we see the trials of the lover played out in three different eras: the Stone Age, Roman times, and the 1920s (the present day.) 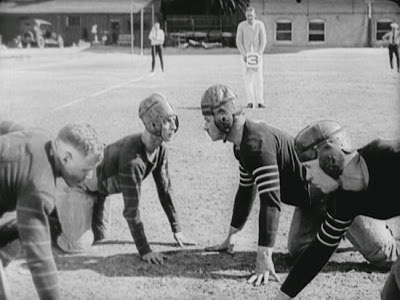 Keaton stars in all three, pursuing a girl (always Margaret Leahy) and facing a rival (always Wallace Beery) who trumps him in strength and wealth. We jump between the stories, which are quite easy to follow, leading to Keaton and Beery’s inevitable triple showdown. The Stone Age and Roman stories have the best gags. 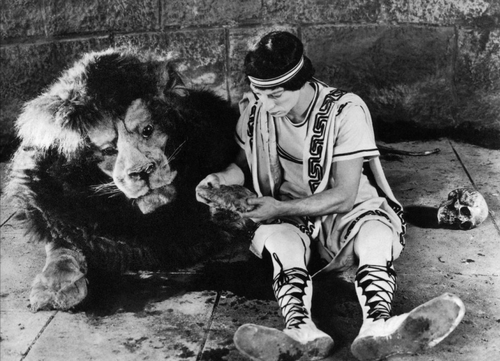 You’ll see Keaton golf with a club of the caveman variety, and ride a dinosaur; employ a spare dog (in lieu of a tire) in a snowy sled-race around Circus Maximus, and do a lion’s nails. That last bit is one of the funniest Keaton ever did, although it owes as much to the man in the lion-suit as it does to the clown. Ribs on modernity abound: if the creators of The Flintstones didn’t seen Three Ages—well, I can’t believe they didn’t. In these two stories, Keaton is a bullied everyman, living an essentially 20th Century life, with the modern conveniences swapped out for their Stone Age or Iron Age analogues. They are as much a parody of modern life as the third story is, and perhaps more so, because it is by taking modern conventions and gadgets out of their natural context that they are made to seem most shallow and absurd. It’s best not to over-analyze slapstick (that’s the clown’s job), but, if one is talking about everlasting truths, like Love, the importance modern man attaches to his business card falls into embarrassing relief. Especially when the card is carved in stone. The thing about these two stories—they have no character development. The Girl is the object; Beery is the Brute and Foil. Keaton is the Victim, Hero, and executor of gags. Though the Keaton character has a goal, the gags come first, and the achievement of the goal signals the conclusion of the gags, rather than the completion of an arc. This is not a criticism—it puts the stories in line with almost all of Keaton’s short films (with the possible exception of The Frozen North). But it does look backward. The third story looks ahead. This time the Keaton character has flaws—not just external flaws like physical weakness, or poverty, but character flaws too. He’s socially awkward, shy, and lacking in courage. This Keaton, we feel, survives because the world in which he lives is comfortable and easy. This makes him unlike the other two heroes in Three Ages, and much more like the oblivious little men in The Navigator and Steamboat Bill Jr., two of Keaton’s best features, both still to come. It is the Keaton of Story Three who suffers most humanely. His gags are smaller scale, built mostly upon matters of etiquette and class that leave the character marginalized. He is downright miserable at times, recalling, to me anyway, the hesitant traveler in Keaton’s Our Hospitality, who arrives at the home of a family he knows are killers, but for whom he must, nevertheless, live up to the role of guest. That film, too, was still to come. Had Three Ages bombed, and the third story been released as a standalone short, it would have been the weakest of the three. It’s funny enough, but its hero is not universal—he is an individual and needs space to grow. While the time allotted him in Three Ages isn’t any greater than he would have received in a short film, the other two stories serve to round him out. The pathos of this third Keaton is borne, in part, from the avenues closed to him—avenues open to his equivalents in the Stone Age and Roman stories. This man cannot drop the pompous Beery with a club then drag his love away. There are no lions to even the odds. There are only wits and luck, and a little man not particularly blessed with either. This was modern life. And this was the Keaton we’d grow to love. Silent Sundays screened Three Ages this past Sunday, June 23rd, at Toronto’s Revue Cinema. Live accompaniment was provided by Bill O’Meara. Three Ages is also available on Blu-ray, through Kino International. I agree with so much of this--that incredible jump between the side of two (apparent) buildings by Buster is unforgettable, as is the delightful gag at the end involving the diminishing of family sizes in the modern world. My guess is Keaton wanted to take a swipe at "Intolerance" because it was ponderous and enough people saw it as as "important" film even if it didn't do well. It was, in other words, prime for satire. Excellent article; had never considered how the film is a precursor to the character-driven comedy of Keaton's later features. As for the "why Intolerance question, two things to keep in mind: First, Griffith re-released two segments of the film in 1919. And there were further re-edits and re-release attempts after this as well. 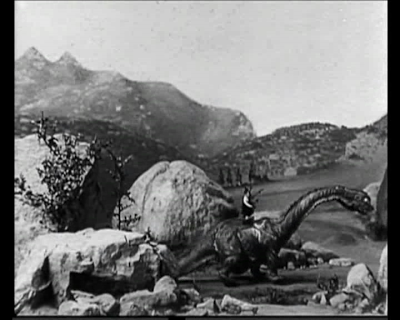 I believe the film was still making its premiere in certain foreign territories as late as 1923. The picture ultimately grossed (according to Variety) $1,750,000 after all the re-editing and re-releasing. This is a substantial figure in the silent era, and indicates a lot of butts in seats. Just not enough to make it profitable when compared to expense, which is why it's gone down in history as a "flop". Of Griffith's pictures, only A Birth of a Nation, Way Down East and (barely) Orphans of the Storm grossed more. It was certainly well-known enough to spoof.